New York, NY | Between November 9 and November 14, the complete European field for the 2018 FIFA World Cup in Russia will be decided over the course of eight gut-wrenching playoff ties. The two-legged affairs will mark the final cuts in a qualifying marathon that began with 54 hopefuls back on September 4, 2016, and will end with 14 European nations vying for glory next summer. The playoffs consist of the eight best second-placed teams from group play. Based on the October FIFA World Rankings, the eight nations were seeded and drawn against each other back on October 17, giving us matchups between Northern Ireland-Switzerland, Croatia-Greece, Denmark-Republic of Ireland and Sweden-Italy. For those that’ve never witnessed the UEFA World Cup playoffs, they typically eclipse the drama and excitement of anything we’ll see during next summer’s group stage. The World Cup, in earnest, begins now. Any questions please feel free to contact us! 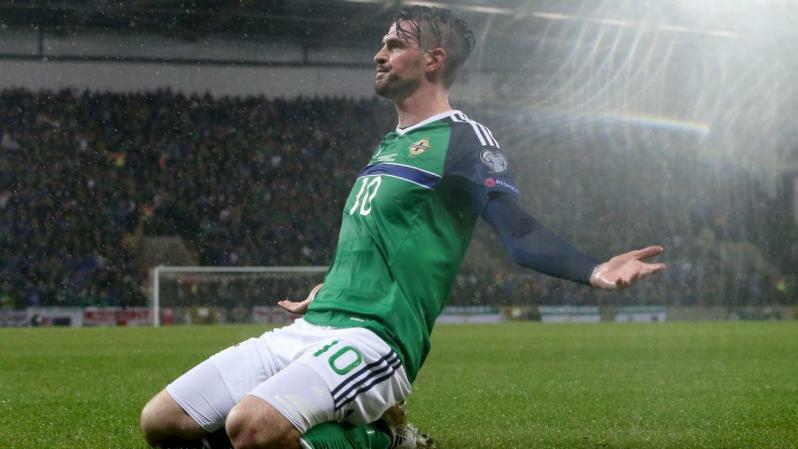 How They Got Here: Northern Ireland finished behind Germany in Group C. They impressively drew 0-0 with the Czech Republic in Prague and defeated them 2-0 in Belfast, ensuring the runners-up position. Why They’ll Qualify: Northern Ireland hasn’t been to a World Cup since the 1986 edition in Mexico, but this is something of a golden period for the Green and White Army. The Irish qualified for Euro 2016 and recorded a victory over Ukraine at the tournament, advancing as far as the Round of 16. The team are managed by Michael O’Neill, and he’s provided stability dating back to the heady days of 2011, and while the manager is a long-standing servant of the national team, so are a wealth of the players called-up to face the Swiss. Three of the side’s performers are now in Northern Ireland’s top 10 all-time for international appearances: Aaron Hughes (108 caps), Steven Davis (99) and Gareth McAuley (74). The attacking firepower is provided by 30-year-old Heart of Midlothian striker Kyle Lafferty. He’s Northern Ireland’s second leading goalscorer of all-time with 20, including three during this qualifying cycle. The side is mainly composed of players from the Scottish Premiership and the second and third tiers of English football. There’s not a lot of star power, but there’s continuity, experience and grit — they only conceded six goals in 10 qualifying matches. How They Got Here: It went down to the wire, but Portugal’s 2-0 victory over Switzerland on the final day of qualifying saw them finish as Group B winners while the Swiss had to settle for a spot in the playoffs. Why They’ll Qualify: This is a fantastic Swiss side that advanced to the 2014 World Cup Round of 16 while defeating both Ecuador and Honduras before losing to Argentina in extra time. They managed the same at Euro 2016, ultimately losing to Poland on penalties at the same hurdle. Defensively, the Swiss boast world-renowned talent in goalkeeper Yann Sommer (Gladbach), Stephan Lichsteiner (Juventus), Ricardo Rodriguez (Milan) and Johan Djourou (Antalyaspor). Granit Xhaka (Arsenal) also provides some muscle in the heart of midfield. Going forward, it’s all about “The Alpine Messi”, Xherdan Shaqiri. The 26-year-old Stoke City attacker is one of the most uniquely talented players in the world. 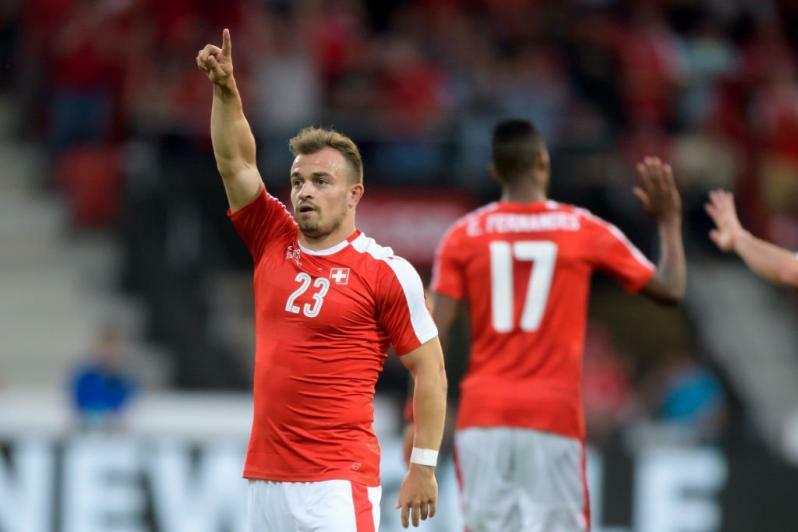 25-year-old striker Haris Seferovic (Benfica) led the Swiss in qualifying with four goals. How They Got Here: Croatia seemingly had Group I wrapped up before suffering defeats to Iceland and Turkey and slipping to a home draw against Finland. Iceland won the group, but Croatia still managed to finish second above both Ukraine and Turkey. Why They’ll Qualify: Their glorious kits. No, the midfield of Luka Modric, Ivan Rakitic and Ivan Perisic alongside the forward play of Mario Mandzukic. No, Dejan Lovren. Croatia’s midfield should absolutely boss the Greeks over the course of 180 minutes, and Mandzukic will bag the goals for a side that occasionally dazzled at Euro 2016 before an extra time defeat to Portugal in the Round of 16. They are quintessential World Cup dark horses . . . and those shirts. How They Got Here: Belgium strolled to victory in UEFA Group H, but Greece finished shock runners-up at the expense of Bosnia and Herzegovina. Why They’ll Qualify: Well, it would have to be extremely similar to the way they won Euro 2004. Take out Greece’s two matches against Gibraltar and their qualifying record is: P8 W3 D4 L1 GF9 GA5. They do not score goals, but they do not allow them either. They have a miserly defense led by captain Vasilis Torosidis (Bologna) and Sokratis Papastathopoulos (Borussia Dortmund) and they’ve got a lone goalscoring hope in Marseille striker Konstantinos Mitroglou. There’s also the feeling that Greece has landed a dream draw with regards to Croatia. Of the seeded nations, Croatia offers the weakest goalscoring threat. PREDICTION: Croatia advances, but this one could take something dramatic like penalties. How They Got Here: Denmark finished runners-up behind Poland in UEFA Group E, although they also managed to thrash the Poles 4-0 in Copenhagen. However, they struggled twice against Romania, damning them to the playoffs. 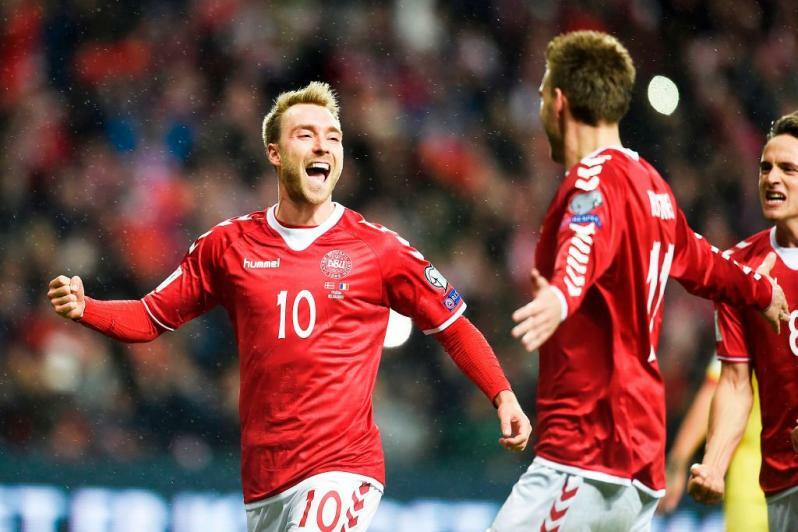 Why They’ll Qualify: In 25-year-old midfielder Christian Eriksen, Denmark have one of the finest footballers on the planet. The Tottenham maestro contributed eight goals in qualifying, and the nation has a couple of rocks at the back in goalkeeper Kasper Schmeichel and Sevilla defender Simon Kjaer. They’ve also got the country’s seventh-leading scorer of all-time, one Nicklas Bendtner. How They Got Here: UEFA Group D belonged to Serbia, but a dramatic collapse from Ireland followed by an even more dramatic turnaround saw the Boys in Green pip both Wales and Austria to the runners-up spot. Why They’ll Qualify: Ireland has probably overachieved in getting this far after knocking out Wales’ golden generation. But if they can manage to continue to overachieve, a la their victory over Italy at Euro 2016, the sky’s the limit for Martin O’Neill’s men. Well, their ceiling isn’t exactly that high, but this side has a penchant for attaining what they set out to achieve. 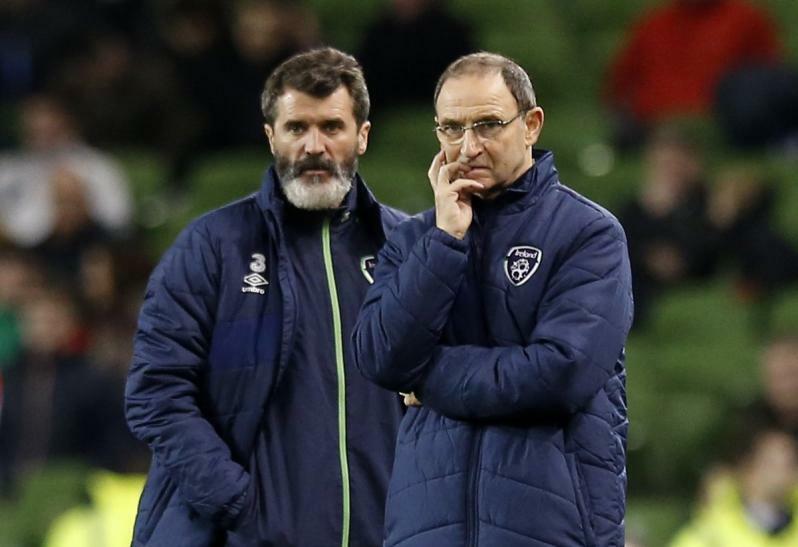 In O’Neill the Irish have one of the finest international managers in the world, and in Roy Keane the angriest. They only gave up six goals in qualifying and relied on the likes of James McClean, Daryl Murphy and Jonathan Walters to pop up with vital strikes. They’ll make Denmark suffer in the first leg and then ride a wave of energy back in Dublin to secure qualification. PREDICTION: Ireland weather the storm in Copenhagen and secure a famous victory in Dublin. How They Got Here: France won UEFA Group A, but Sweden finished runners-up at the expense of the Netherlands. The Swedes even managed a 2-1 victory over France back in June. Why They’ll Qualify: 31-year-old striker Marcus Berg stepped in admirably for the retired Zlatan Ibrahimovic in qualifying, bagging eight goals, while RB Leipzig winger Emil Forsberg is the nation’s new superstar. 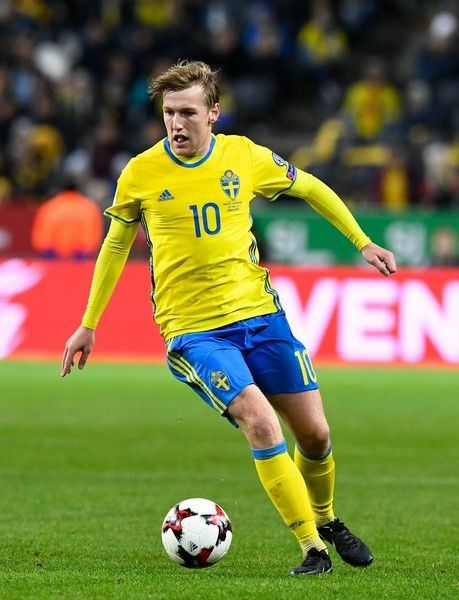 This is an exciting Swedish side capable of competing with any nation on their day, as evidence by the run they gave France throughout qualifying. How They Got Here: Italy were placed alongside Spain in UEFA Group G, and there could only be one winner. 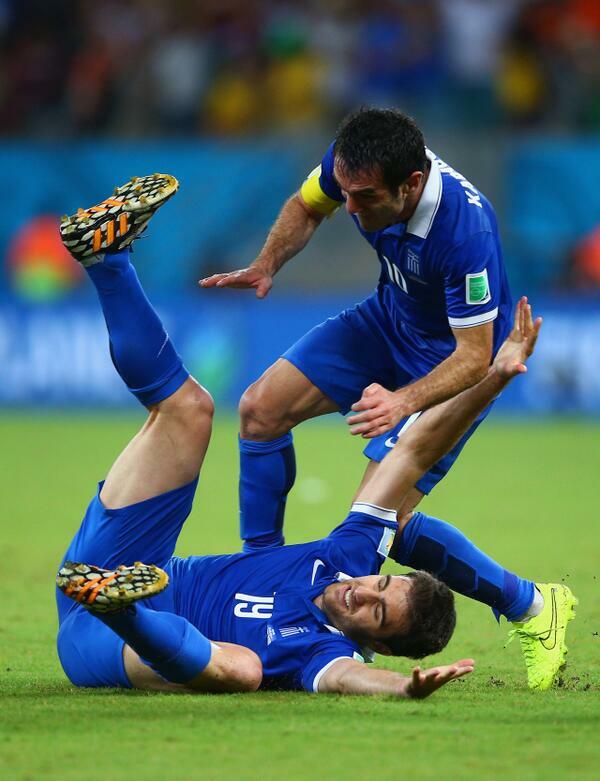 It was Spain, so Italy find themselves in the playoffs. Why They’ll Qualify: After a somewhat dire qualifying campaign that included a 3-0 spanking to Spain at the Bernabeu and an appalling 1-1 home draw with Macedonia, Italy still arrive in the playoffs as Italy, the four-time world champions. There’s a nice blend of youth and experience here. We all know the defense by now (Buffon, Chiellini, Bonucci, Barzagli), but there are a number of players hungry for international success. 23-year-old Juventus midfielder Federico Bernardeschi is a huge talent and Ciro Immobile is in the form of his life for Lazio. If a few players continue their good form over the course of the club season, Italy could be reinvigorated come Russia. PREDICTION: Italy advance because anything else is unthinkable. Two-time winner of 'Best Soccer Bar NYC' 2017.